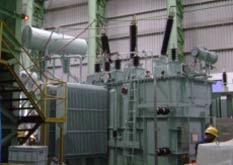 Transformers are manufactured in accordance with international standards like IEC, ANSI, DIN, BS, SANS etc. Painting scheme tailored to specified requirements. Computer aided designs and sophisticated process controls to maintain high product quality standards.